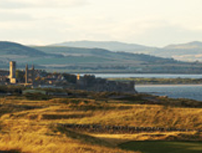 will ensure your Scotland Golf tour is a truly memorable experience. friends or your colleagues. Whether you want to play iconic courses set amongst stunning scenery, challenging links nestling within rugged sand dunes, to picture perfect locations set amongst heather clad hills and glens. We have unique Scotland golf trips to suit every taste and handicap!! The world's most famous golfing destination. 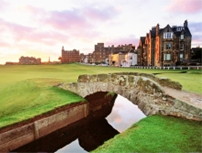 Book yourself a 2019 golf vacation and guarantee yourself a tee time on the Old Course while also enjoying a round on the 2016 Open Championship Venue (Royal Troon). If you had one week to play 5 of the best golf courses in Scotland if not the World then this selection would be hard to beat. You will visit courses from the East to the West of Scotland. This package has been tailored to suit the golfer and the non-golfer. It will allow us to show you the real Scotland. Scotland is renowned for its golf however it has much more to offer. 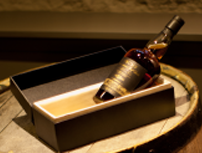 This package is ideal if you would like to combine golfing with fishing, whiskey tasting, Castle Tours and much more. A region of Scotland that is often overlooked for the fairways of fife, the North East of Scotland offers some of the finest Links courses in the world. the feeling of that first drive on a British Open course such as St Andrews, Royal Troon, Muirfield, Carnoustie,or Turnberry or sinking that final putt on the 18th surrounded by the magnificent splendour of Gleneagles , Castle Stuart or Kingsbarns. 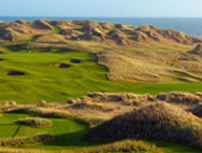 Walk in the footsteps of the famous such as Tom Watson at Turnberry or Jack Nicklaus at Muirfield or design your own golf tour and create YOUR OWN UNIQUE MEMORY. Our roots in golf go back four generations and include former professional golfers and Scottish Ladies Internationalists so golf is literally in our blood.